When Sammy's Tab Pro/Note Pro line debuted, the Android masses alternately laughed and fumed at their over-the-top pricing. 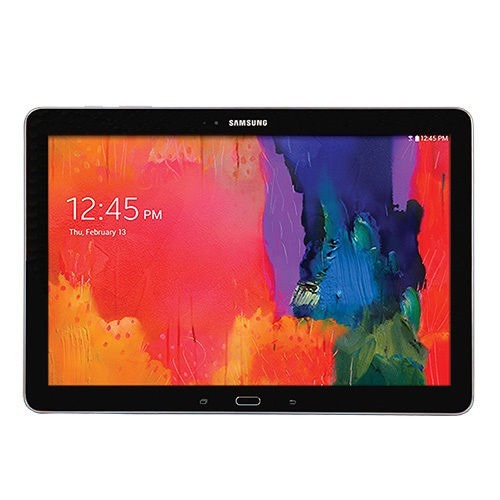 Thank goodness for market correction: nearly all the models in the series have seen significant discounts from the usual suspects, and today the 12.2-inch Galaxy Tab Pro gets another go-round on eBay. A refurbished version of the 32GB tablet can be yours for $347.99, a full $300 off the MSRP and almost $200 cheaper than Amazon's current price. As usual with eBay's promoted deals, shipping is free, and you don't have to pay sales tax outside of Washington (9.5%) or Indiana (7%). The US-based seller will ship to most of Europe and a few other places in Asia and the Middle East, but Americans in Hawaii and Alaska are left out. Please note that this is the Tab Pro model, not the nearly-identical Note Pro, and as such it has neither a Wacom digitizer screen nor a stylus. If that's not important to you, the rest of the specs should be more than adequate, including the jumbo 2560x1600 12.2-inch LCD screen, 1.9Ghz Exynos 5 Octa processor, 3GB of RAM, and an 8 megapixel rear camera. One downer is that these tablets are "seller refurbished" instead of manufacturer refurbished, but they do come with a free one-year warranty.